February has been a busy month at Dairy Cooling Solutions. With 9 Packo Ice Banks going out to farmers around the country over the next week, 2 PIB's to Northland for TruTest and Kensington Refrigeration farmers, 2 PIB's to the Waikato for Centigrade Refrigeration farmers, 1 PIB to Rotorua for a Temprite Industries customer and 4 PIB's to the Nelson/Takaka region for Golden Bay Refrigeration farmers, the DCS team and our Installation Partners are certainly being kept busy. 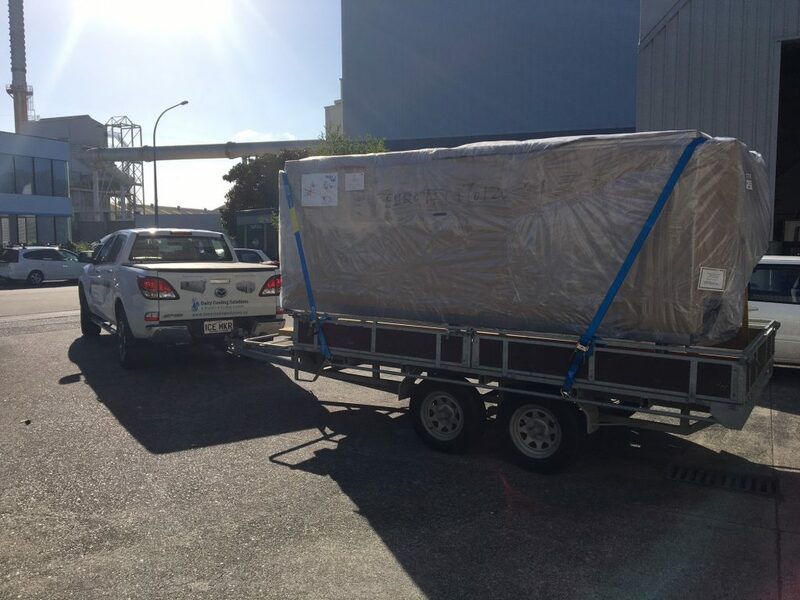 One of our larger units, a PIB160 is loaded up on the trailer for delivery to Trutest Whangarei for one of their customers today. The Packo Ice Banks are proving their value across the country with every one of the 40+ units supplied to-date performing beyond farmers expectations. 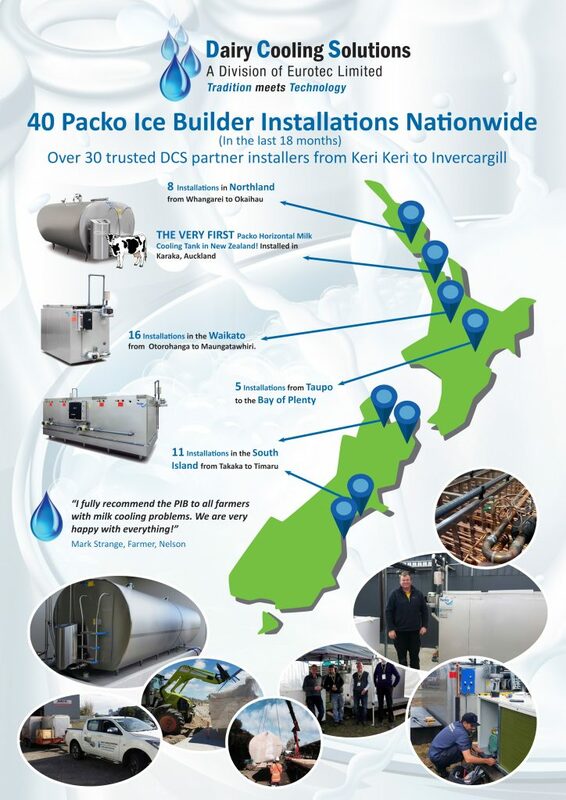 Come and see us at the Regional Field Days in Northland, Central Districts & Kirwee in March and see for yourself why the DCS Packo milk cooling solutions are the perfect fit for your farm; where Tradition meets Technology!